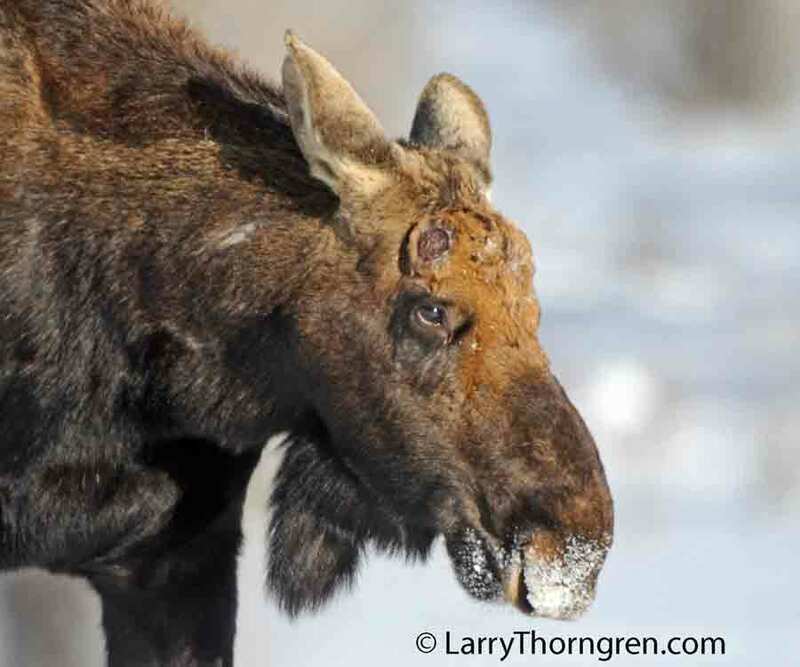 This bull Moose has shed his antlers in the last few days. You can see the scar on his head where his right antler was attached. I observed two other bull Moose today and they still had both of their antlers. They will be losing their antlers soon. This bull will start growing a new set of antlers in the spring and will have a new set next September when the rut starts.